He graduated from medical school at Laval University in Quebec in 1979 and attended both Montreal’s McGill University and UBC during his training as a surgeon. 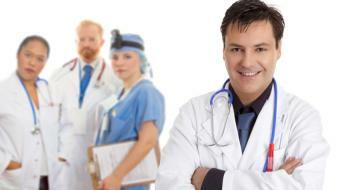 His specialties are adult cardiac surgery and general thoracic surgery. ( Dr. Guy Fradet, Cardiothoracic Surgeon, Kelowna, BC ) is in good standing with the College of Physicians and Surgeons. The speaker in the video may have no association with ( Dr. Guy Fradet, Cardiothoracic Surgeon, Kelowna, BC ). ( Dr. 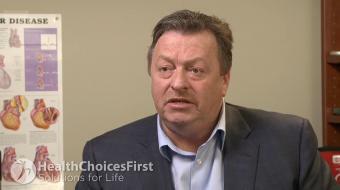 Guy Fradet, Cardiothoracic Surgeon ), may talk about some of the conditions and some of the treatment options shown in the videos on HealthChoicesFirst. Always talk with your health care practitioner about the information you learnt from the videos in regards to treatments and procedures the healthcare practitioner could perform and if they would be appropriate for you. Remember good information is the corner stone to understanding your condition or disease. Please contact ( Dr. Guy Fradet, Cardiothoracic Surgeon, Kelowna, BC ) to enquire if this health care provider is accepting new patients. Dr. 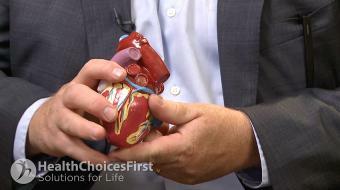 Guy Fradet, MD, FACS, FRCSC, Cardiothoracic Surgeon, discusses CABG byass surgery. Dr. Guy Fradet, MD, FACS, FRCSC, Cardiothoracic Surgeon, discusses heart valve replacement surgery. Dr. Guy Fradet, MD, FACS, FRCSC, Cardiothoracic Surgeon, discusses Post-Operative Recovery for Coronary Artery Bypass Graft Surgery. Dr. Guy Fradet, Cardiothoracic Surgeon, Kelowna, BC is an excellent Cardiothoracic surgeon who treated my father earlier this year. Very happy John Kelowna. Dr. Guy Fradet is an excellent Cardiothoracic Surgeon in Kelowna who did an operation for me late last year. he was very knowledgeable and educated. I felt very confident tat he would do a great job. A cardiothoracic surgeon specializes in the surgical treatment of diseases that affect the organs inside the chest, most often heart and lung conditions. The major subspecialties of cardiothoracic surgery are cardiac, thoracic and congenital. Common procedures a cardiothoracic surgeon may perform are valve replacement, coronary artery graft, heart transplant and lobectomy (removal of a lobe of the lung).